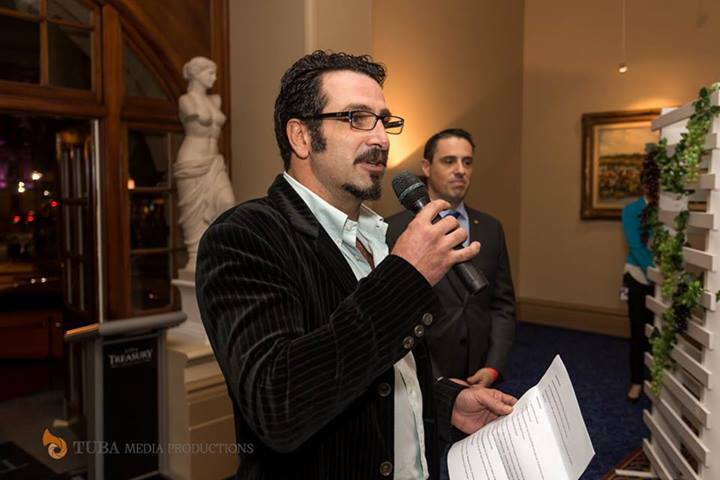 Cavaliere Allessandro Sorbello is founder and creator of Italian Week in Brisbane. He was invited by the Italian Ministry of Foreign Affairs in 2007 to create and manage a festival to focus on cultural understanding of all things Italian with an emphasis on artistic expression and entertainment. With his special qualities of hard work and charisma, he has achieved in eight years a network of collaborations with Australian and Italian cultural organisations. 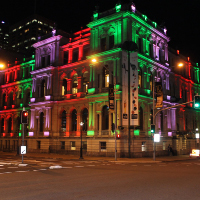 The 'kick off' for this year last Thursday was held at Ryan's on the Park at the Treasury. 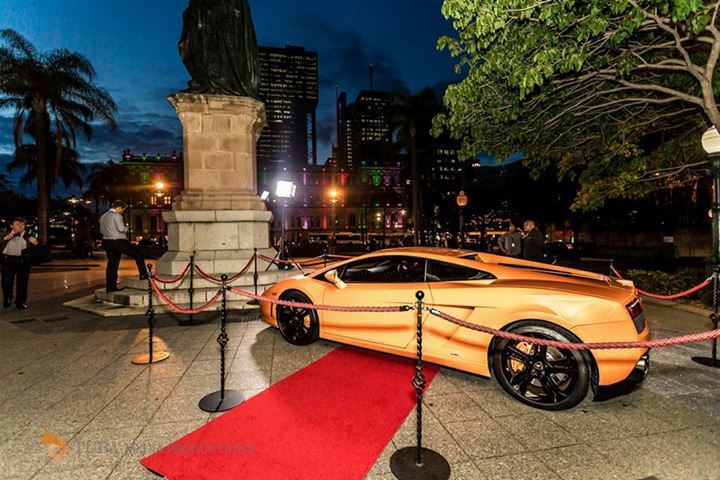 The star of the night was the Lamborghini parked at the entrance - or was it the amazing food one could smell wafting from the opulent surroundings of the reception area crowded with friendly, welcoming friends of Italian Week? A warm mixture of English and Italian could be heard above the familiar music performed by the roaming duo. Fond memories of home towns were exchanged as friends drank wine and food from their native land. Italian Week has grown in the last eight years. The 2007 festival was mainly concentrated around QPAC with dance and theatre. 2014 has 34 events scattered from Ipswich to the Gold Coast. Over 100,000 people claim Italian origin in Queensland. This is a wonderful festival to celebrate their contribution to our culture.